I may have a (small) obsession with chalkboards. I have them scattered throughout my home. 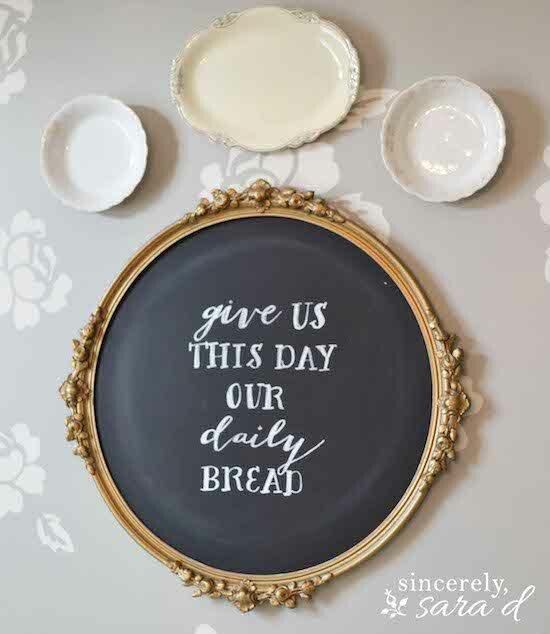 I love chalkboards because they make a big impact with little cost, and they work with different decor styles. 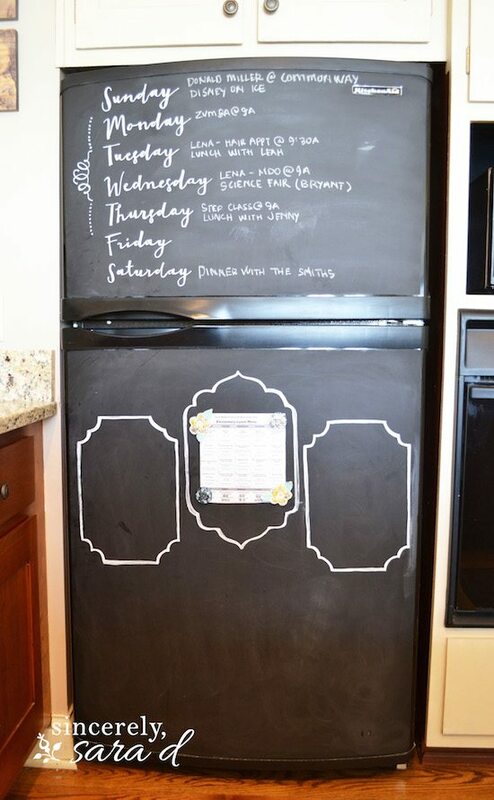 Chalkboards can be painted on anything from a wall to a fridge. 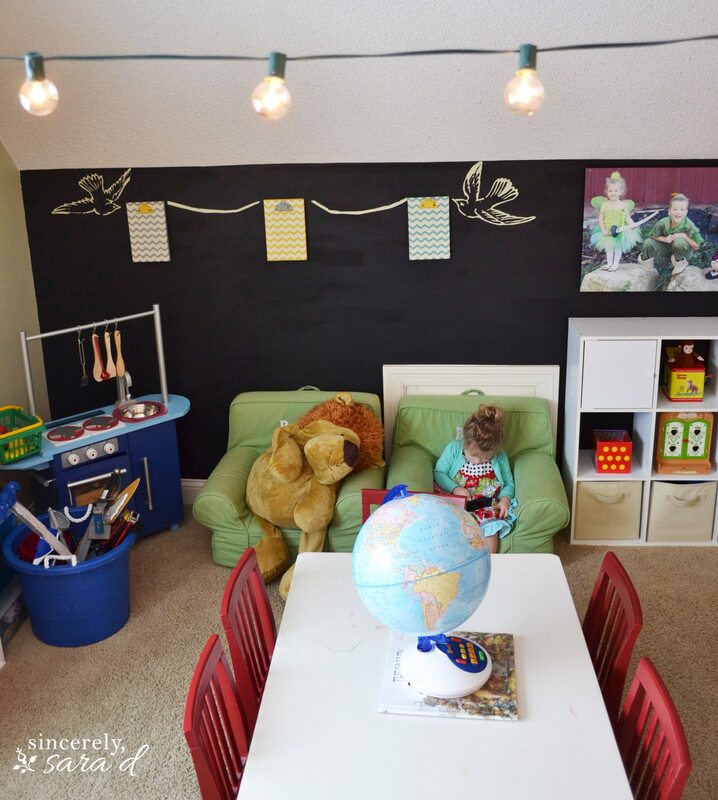 And once you start painting chalkboards, they do become slightly addictive… I painted the wall in our playroom last summer. I used a decal for the birds and painter’s tape for the “string” between the clipboards. I painted over the decals and tape and removed them once the chalkboard paint was dry. 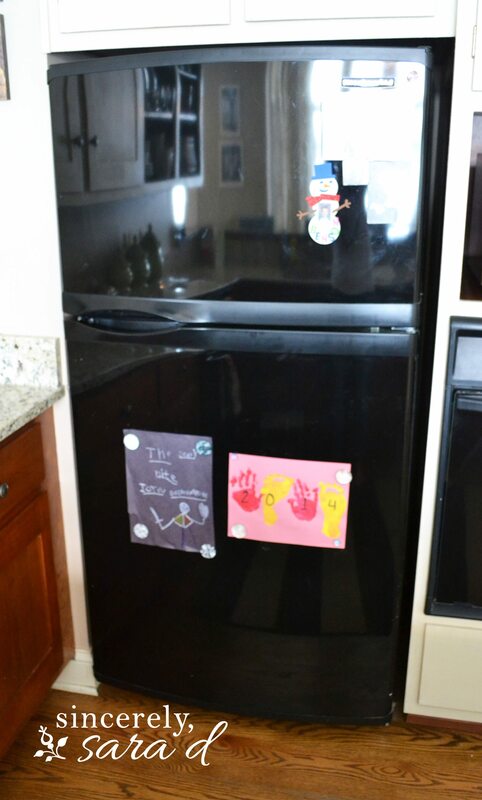 I painted our refrigerator with chalkboard paint. Our fridge was glossy and old, and it just didn’t fit with my kitchen decor vision. I also added a weekly calendar so we can keep all of our family activities straight. 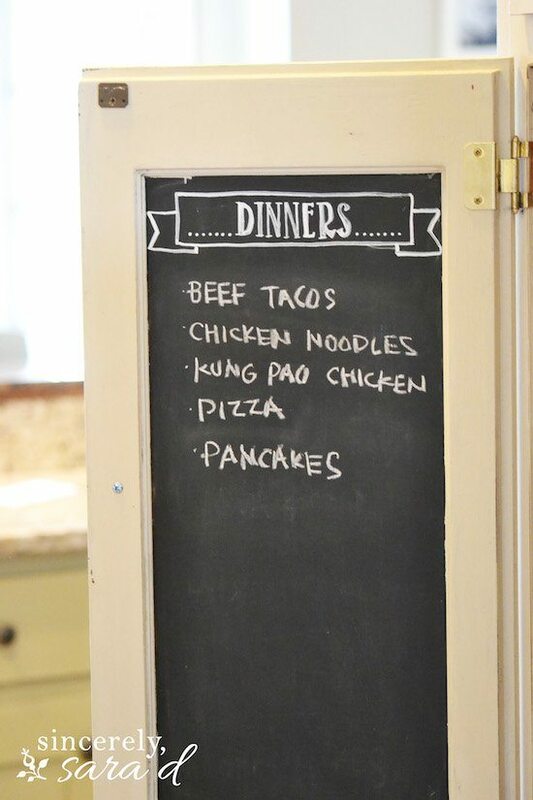 I created a chalkboard for our Dining Room. This was one of my first chalkboard projects. I needed some artwork for my dining room. The insides of my cabinets have a few chalkboards. It is my attempt to be better about planning meals for my family since I hate being in the kitchen. And my daughter Lena has a chalkboard painted on her bedroom wall. I added a few lines from her favorite song. I even have a chalkboard in our garage. We use this board a lot during baseball season. 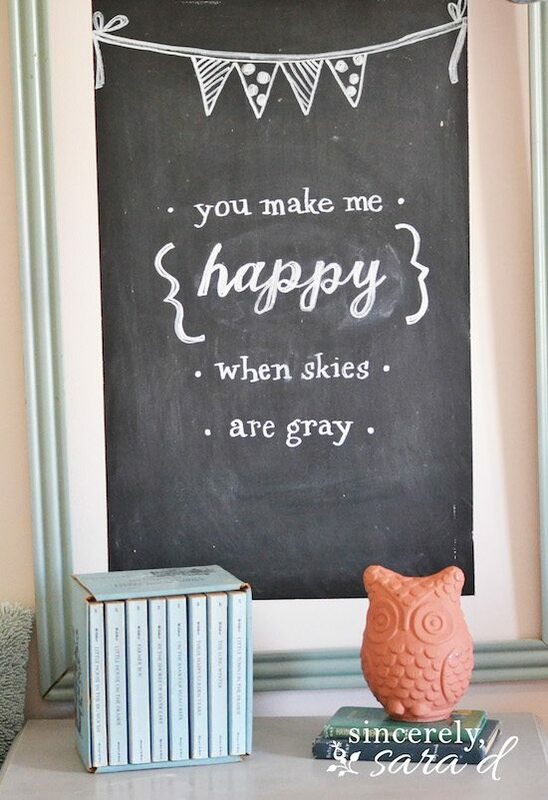 I love chalkboards because they combine fun and function. 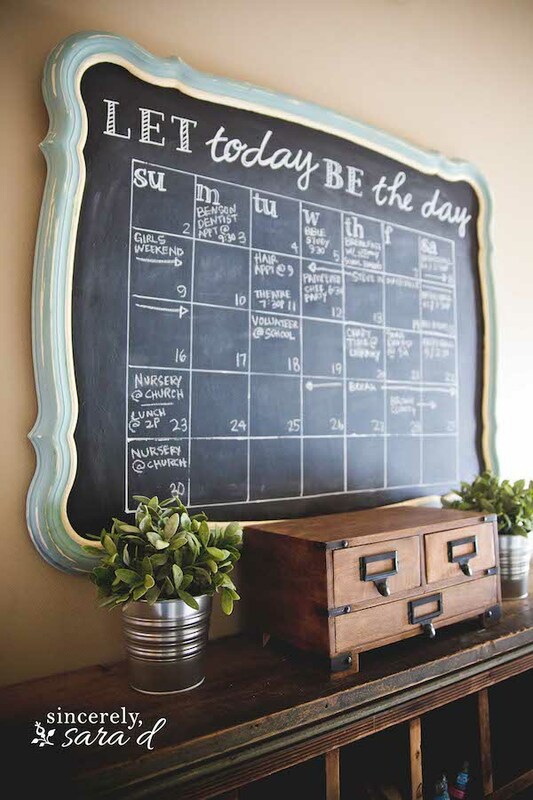 I like things to be pretty, but I also need order – which is probably why I have so many chalkboard calendars/organizers throughout my home. 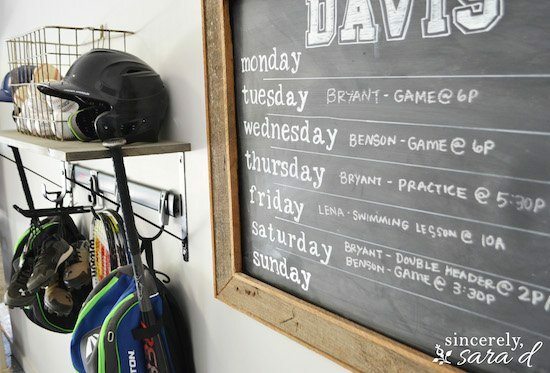 Can you think of a spot in your home that would be perfect for a chalkboard? Thanks to Angela for letting me hijack Unexpected Elegance today! I always enjoy my time with you guys! Let’s stay connected! Follow me on Facebook, Instagram and Twitter!